You don't have to dye your food green to be festive on St. Patrick's Day. 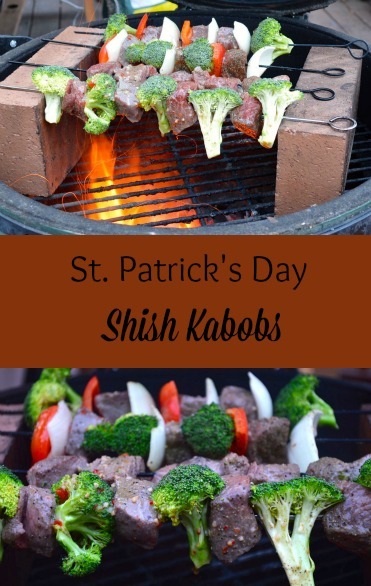 There are lots of ways to show your spirit including this recipe for St. Patrick's Day Kabobs which incorporates the colors of the Irish Flag. Unless St. Patrick’s Day falls on a weekend, you may not always have time to make a traditional Corned Beef and Cabbage Dnner, but this is an easy and fun way to celebrate that is especially fun to make on the grill. 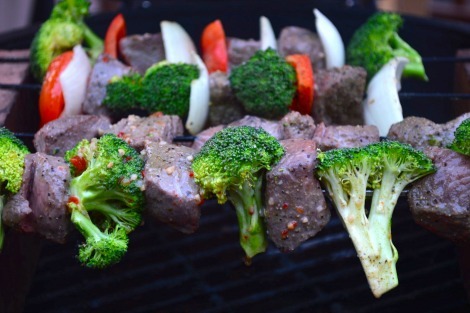 The primary colors used for the skewered food represents the Irish tricolor including green from broccoli, white from onion, and orange from an orange (or red) bell pepper arranged single file on the skewer, separated by medallions of beef. I received this terrific recipe from Grilling Montana and am happy to share a giveaway opportunity to win one a trio of T.Lish Marinade Sauces that you can use to make this recipe and many others. 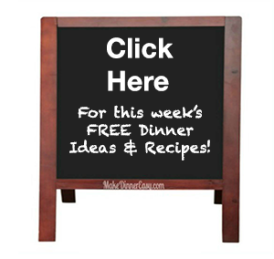 Marinade cubed beef pieces in ½ cup T-Lish all natural Asian Sesame or Sweet Garlic Vinaigrette for three or more hours up to overnight. Reserve remainder for basting. Pre-heat grill and fire bricks if available. Skewer kebabs. Alternate between veggies and meat using all ingredients. Lightly brush T-Lish all natural Asian Sesame or Sweet Garlic Vinaigrette on veggies based on your flavor preference and season kebabs with salt and pepper. Grill for 12-15 min painting remainder of T-Lish all natural Asian Sesame or Sweet Garlic Vinaigrette on as needed to accentuate flavor and promote browning. Turn frequently to prevent burning. Ingredients will often recede from skewer when done allowing them to slide effortlessly on the plate. Serve with your favorite Irish beverage. 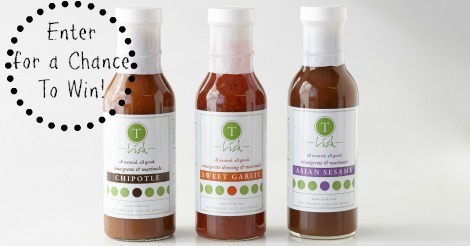 I received a box of T lish Marinades and Vinaigrette to sample and I really loved the taste, the simple ingredient list and the low sugar content of these sauces. I especially loved the Asian Sesame Vinaigrette and have been using it often to make an Asian Slaw! I'd love to give you a chance to win a 3-pack box of these marinades, compliments of T.Lish that will make your dinner time much easier. The contest starts on 3/11/16 and will end at midnight CST on 3/18/16. You can do any of the above activities once per day to earn entries into the contest. When the contest is over I'll randomly select a winner. The rules for this contest can be read here. I'd love to hear what you normally serve on St. Patrick's Day below!